Barcelona and France centre-back Samuel Umtiti is not expecting his international colleague Antoine Griezmann to join him at Camp Nou, adamant he is happy at Atletico Madrid. Griezmann was heavily linked with a move to Barca last year, before committing his future to Atletico in June in a documentary-style video. 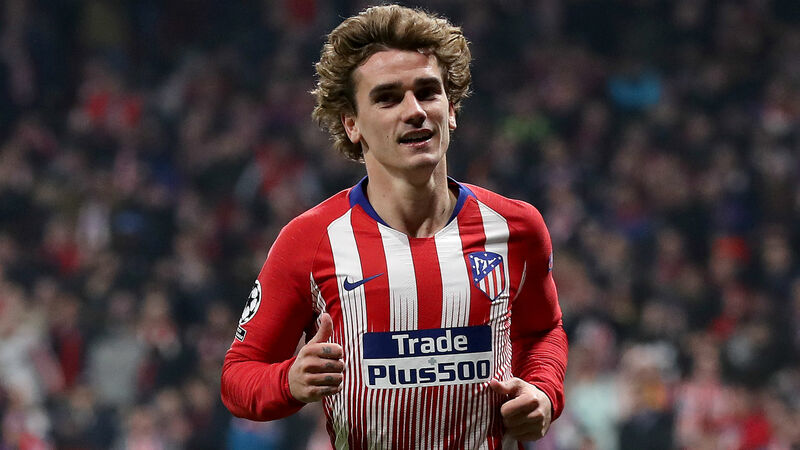 Despite Griezmann ultimately rejecting Barca's pursuit in that saga, the speculation has resurfaced in recent weeks, suggesting the Catalans will go for him again at the end of the season. Umtiti knows Griezmann well, having played alongside him at international level for several years, and he is convinced the forward is content where he is, suggesting the 28-year-old could come to regret leaving if he makes that decision. "I know Antoine is very happy in Madrid, it's going well for him," Umtiti told TF1. "It's a team that plays for him, and after that, in a career there are choices that we can take and that we can regret. "I know he feels good there, but he could play in any club around the world because of his qualities, whether in Barcelona or elsewhere. He'd be happy and successful." Both Griezmann and Umtiti were key members of the France squad which won the World Cup last year, but the Barca defender has paid for that success physically. Recurring knee injuries – which he first suffered just before the tournament – have limited him to just nine LaLiga appearances this season, and he puts that down to pushing himself to be fit to play in Russia. "I took a risk at the World Cup," he added. "I absolutely wanted to play it because it is only played every four years and we do not necessarily play it many times in a career. "It was a dream that I realised, so I pushed a little on my knee and it has complicated things for this season, but I don't regret it. "Now my knee is ready, ready to play, but the coach has his choices to make. I feel good, I'm trying to get back to the rhythm after several months of inactivity. "It's a bit complicated, but it's with training and matches that I'm going to find the pace and feel good. I have good feelings and I feel better and better after each match matches." Both players are away on international duty with France, who will face Iceland on Monday.